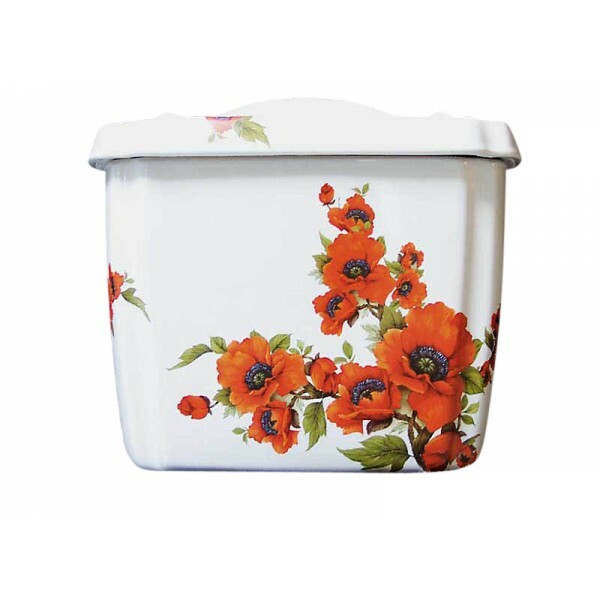 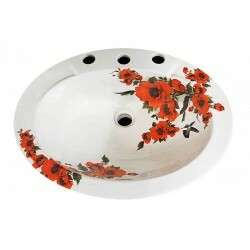 Vibrant red poppies with olive green in the leaves and brown stems painted on this toilet tank and lid makes a dramatic statement in any powder room or bathroom. 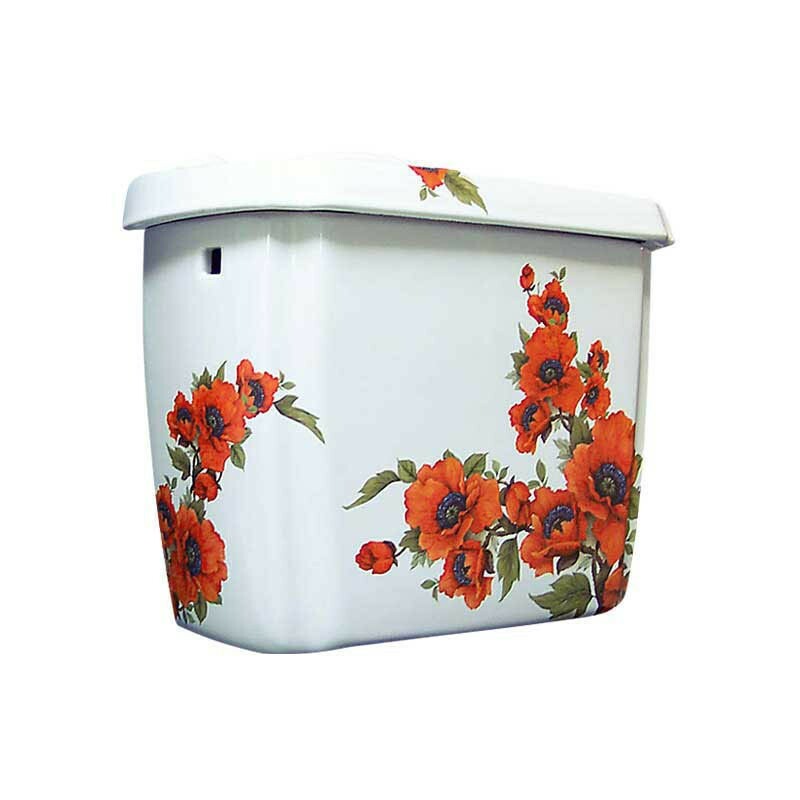 Shown on an American Standard Repertoire toilet tank which has been discontinued. 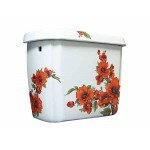 Can be adapted to any toilet tank & lid. 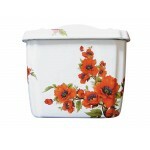 Visit the Fixture Choices page for info. 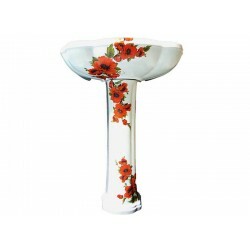 Coordinates with Oriental Poppies Pedestal or Drop-in & Undermount. 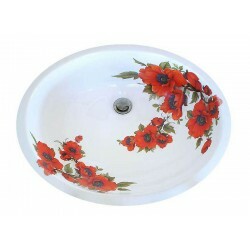 Price includes toilet tank & lid only, we will assist you with ordering the bowl.